/ Is Your Leadership Style Hurting Your Business? Is Your Leadership Style Hurting Your Business? It’s not easy being at the top. You have a lot of responsibilities, and the buck often stops with you. Your employees look to you for guidance, and it’s your behaviour towards them and the business as a whole that can determine their productivity. If there are problems within your leadership style, this will have a ripple effect throughout your business, including the way your employees behave. So, let’s return to the question posed in the title. Is your leadership style hurting your business? It may well be, and you might not even know it. However, if your team are unhappy, and if productivity has taken a hit, the problem may lie with you. There are a couple of things you can do at the outset. Hire a consultancy team to assess your business leadership. They will give you some pointers as to where you may be going wrong, and help you create a positive work environment. The truth hurts, but if you receive a unified response regarding issues within your leadership, you should eat humble pie and start to make changes within yourself. The following are some of the leadership traits that may be causing a problem. Struggling to relinquish control over each facet of the business, you are forever dictating what should and shouldn’t happen, even with staff members who may have more experience than you. While it’s okay to guide your team and suggest ways to make improvements, you also need to leave them alone to get the job done. It’s about having trust in your team, and by showing it, you will boost staff morale. Even when you’re wrong, you’re right! When you know you have made a bad decision, you refuse to admit it. No matter how many people try and tell you otherwise, you stick to your guns and refuse to show weakness. You are always right because you are the boss! Sadly, your pig-headedness will get you nowhere. Sometimes, you need to admit when you are wrong, and you need to listen and accept the opinion of others. 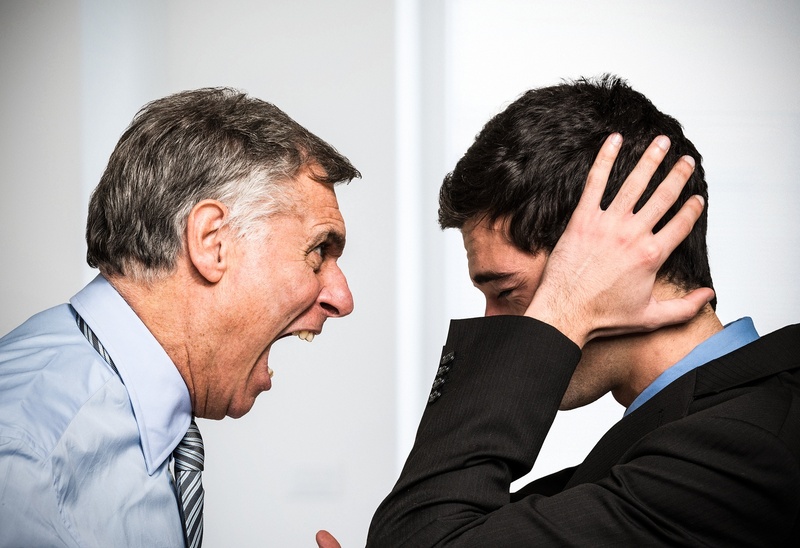 If your employee makes a mistake, you berate them in front of others. You raise your voice at staff meetings. The threat of docked pay or terminated employment is never far from your lips or the ears of your poor employees. You rule with an iron fist, probably enjoying the power as you do so! As a result, your employees will resent you. They will fall ill with stress, probably have sick days as a result, and may one day flee your business, too fearful to return! Your employees are looking at you to make the big decisions, but if you aren’t making them, or you are forever changing your mind, you will cause frustration in your staff, and restrict business growth. Sometimes, you need to take a risk. Provided you have put some thought into the decisions you need to make, you are less likely to make a bad choice. And even if you do, you can learn from the mistake and move on. So, we ask again. Is your leadership style hurting your business? If any of the above relates to you, then the answer is ‘yes.’ For your sake, and the sake of the people who work with you, start to make changes in your leadership, being a good boss, rather than a bad one.